The most common form of recreational fishing is done with a rod, reel, line, hooks and any one of a wide range of baits. Other devices, commonly referred to as terminal tackle, are also used to affect or complement the presentation of the bait to the targeted fish. Some examples of terminal tackle include weights, floats, and swivels. Lures are frequently used in place of baits. Some hobbyists make handmade tackle, including plastic lures and artificial flies. The practice of catching or attempting to catch fish with a hook is known as angling. Big-game fishing is conducted from boats to catch large open-water species such as tuna, sharks and marlin. Noodling and trout tickling are also recreational activities. On our fishing trips we take you to our location in a private bus. We manage the necessary supplies for food and stay along with the required gear for fishing. 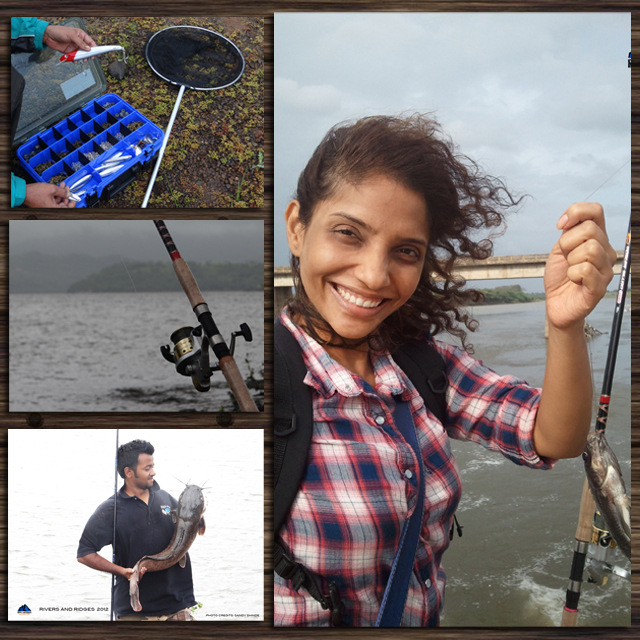 Some of the fish can be caught and consumed, while with certain varieties of fish we practice ‘catch and release’, the reason being that these fish are rare in their habitat and the environment needs their continued presence to maintain the ecological balance.